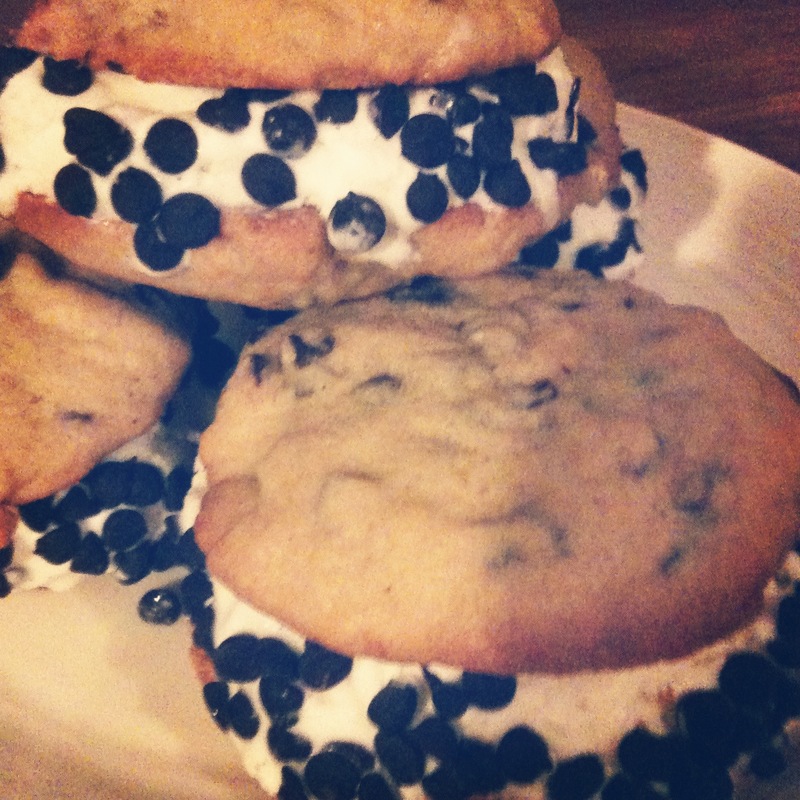 When I was little, my summer treat of choice was a Chipwich: vanilla ice cream sandwiched between two giant chocolate chip cookies. I loved this brand in particular because they understood the importance of using all available surface area to maximize yumminess and rolled the ice cream edges in mini chocolate chips. Brilliant. 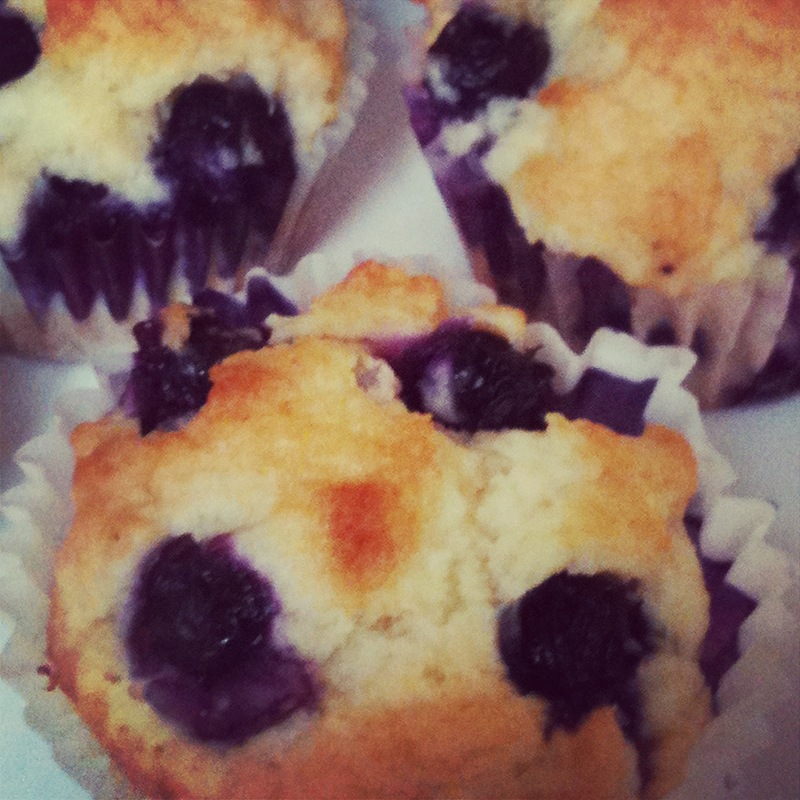 I made these blueberry muffins from Gwyneth Paltrow’s (aforementioned) cookbook, My Father’s Daughter, on a random day off work earlier this week. When my grandmother was my age, she made batches of muffins (and brownies and squares and eclairs) on any given weekday afternoon, no big deal, but I felt quite like Aphrodite in an apron, just whipping up a batch of muffins in the middle of the day. The muffins may not be the fruit of the gods, but the two mortals living in this house think they taste pretty darn scrumptious. Gwyneth has a healthier alternative to the recipe that I followed, which is actually her mother’s, but I went for the full-fat version. Maybe one day I’ll stock my pantry with spelt flour and agave nectar, but for now, the good ol’ fashioned all-purpose flour and granulated sugar variety will have to do. Yum!